Inside you is an innate wisdom that intuitively understands about the very natural process of birth. We help you reconnect with this wisdom, guiding you through a class specifically designed for the journey of pregnancy, interweaving childbirth education as well as addressing therapeutic applications – common aches and pains. Linking yoga postures with the breath will lead you to new discoveries, bringing awareness to the mind, body and spirit, and also the spirit of your baby. The program, conducted in a calm, peaceful environment will help strengthen the uterus and pelvic muscles, improve circulation, aid in digestion, exercise the spine and increase overall comfort. Yoga can also alleviate many of the discomforts of pregnancy such as nausea, constipation, varicose veins, swelling, back pain and sciatica. A safe, open community allows you to freely discuss any issues, from discomforts and concerns, to the wonderful new changes your body and baby are experiencing. The ultimate purpose of the PYC methodology of prenatal yoga is to best serve women in their preparation for labor and motherhood. Postnatal yoga classes help women regain strength and energy that may have been lost during pregnancy. Classes specifically focus on rebuilding strength in the abdomen, back and pelvic muscle; releasing tension in the shoulders and neck;opening the chest. Classes also address common issues and concerns that may arise in this new chapter of life. Moms are welcome to bring their babies! Please note that we are a 1 flight walk up, and someone is always at the studio to help you carry your stroller. Please note that we are a one-flight walk up, and someone is always at the studio to help you carry your stroller. Class will include: Gestation and anatomy, nutrition, preparing your body and how to adapt to the changes, birth plans, labor support, your partner as a coach, stages of labor, interventions, inductions, C-sections, breathing, relaxation, pain management techniques, breastfeeding, newborn procedures, and postpartum health. There will also be time for questions! Bond with your baby in this class where you’ll learn massage to both stimulate your baby’s brain and relax their muscles and organs. Moms, Dads, Grandmas, Grandpas and Caregivers come together for an enchanting experience with your baby. Your baby will respond with coos and smiles as you learn to soothe them. Everyone will benefit from this unique learning experience! Some of the more specific benefits for your baby are, stimulates circulation, improves body awareness, improves sleep patterns, reduces discomfort from teething, congestion, gas, colic and emotional stress. 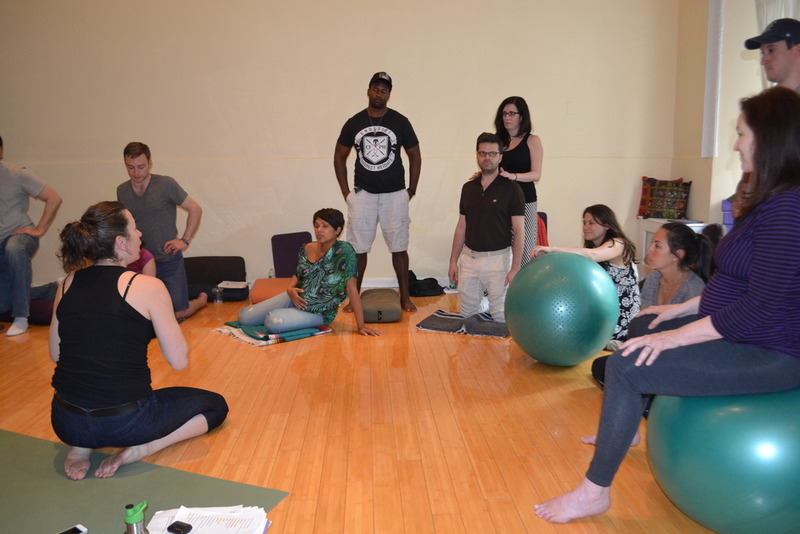 The instructor is both licensed as a massage therapist and certified in infant massage. For thousands of years, mothers have breastfed their babies in “women’s circles,” benefiting from the vast experience and knowledge of others. Being part of such a circle and sharing the joys, concerns, and challenges of breastfeeding can be empowering and tremendously rewarding. This breastfeeding circle allows for a clinical yet warm approach to breastfeeding today. Andrea Syms-Brown, IBCLC (through December 2018) or Ayelet Kaznelson (starting January 2019) expertly guide the circle and empowers new mothers to meet the challenges of breastfeeding. Scale available to weigh your babies before and after feeding and help track weight gain.